July 29 , by Katrina. I seem to be coming across a lot of great clay findings at the minute. This week it is Artisan Clay. 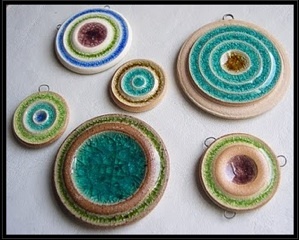 I love the colors on the beads pictured here and the texture is lovely too. You can find the Artisan Clay Etsy shop here and the blog here.